U.S. healthcare is too expensive, asset-heavy and tolerant of excessive performance variation. It is over-invested in acute/specialty care and under-invested in prevention, primary care, behavioral health and chronic disease management. It makes too many mistakes and refuses to learn from them. Our long-term quality of life, standard of living and social mobility depend on converting America’s “sickcare” system into a true healthcare system. Strong incumbents dominate an expensive and fragmented system that is financially unsustainable, delivers mediocre health outcomes and fails to address the root causes of America’s chronic disease epidemic. This medical empire is fighting to maintain the status quo and its vested interests. Its day of reckoning has come. New competitors and business models are emerging to challenge entrenched, inefficient and ineffective business practices. They’re relentless. They fight to win customers every day by delivering better, more convenient and more affordable healthcare services. 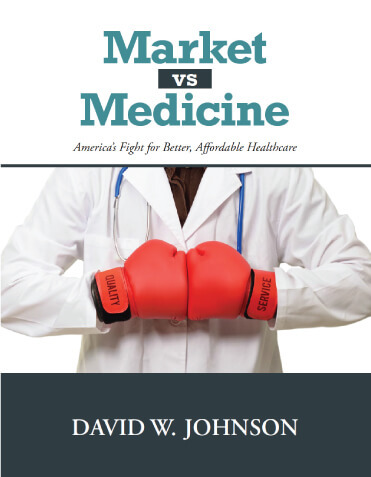 Market vs. Medicine goes beyond diagnosis to consider how sustaining and disruptive innovation will make U.S. healthcare better at diagnosing and treating illness while developing care management capabilities that promote prevention, behavioral health and chronic disease management. In the epic battle underway, market-driven reform, more than regulatory change, will transform and improve America’s broken healthcare system. The marketplace will differentiate winners and losers. Value rules.